How to keep market leadership? Consistency, that’s a word that came up during our first days of working for Belisol. The brand had the product and the service but was represented by a large group of independent showroom owners. Although each one very passionate and full of know-how, this did not result in a strong brand on a national level. Bowling took it upon itself to streamline the brand and came up with ‘the Belisol promise’ or ‘De Belisol Belofte’ or ‘La Parole Belisol.’ The promise existing of 4 pillars would cover all that is Belisol and gave the whole organization tune to harmonize on. Not only the talk was harmonized, but Bowling also covered the visual style. Bowling made a style guide and communication standards for these shop owners to communicate without thresholds. With the Belisol brand being ready for the big crowd we went out with mainly radio and showroom window dressing to get attention. Belisol is now the first thing most people think about when they’re considering new windows. With the initial consideration being the best in the category we decided to venture deeper into the customer decision journey. Everything we do together with the other agencies is supported with data that show us where a customer lost interest or where they got triggered to contact a Belisol salesperson. All this to make sure we’re getting the most out of our high initial consideration score. 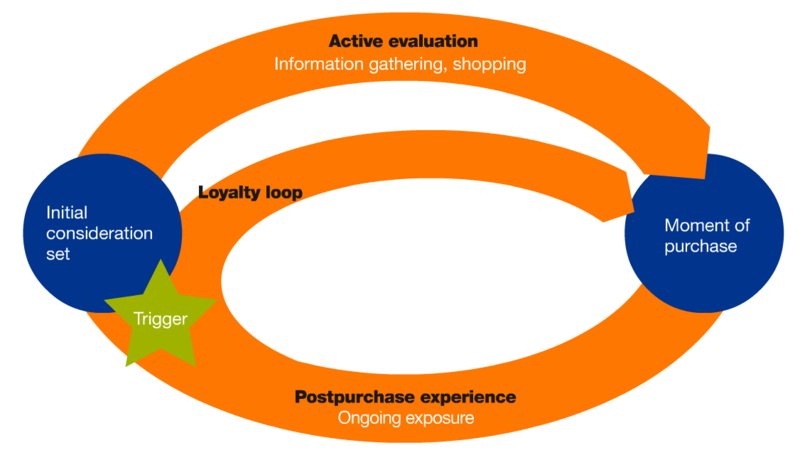 Even further down the line of the McKinsey journey, -being the post-purchase experience and the loyalty loop- we can also map out the project to work on to slowly but surely improve the brand in all its aspects.